You know how sometimes you have something hanging around that somehow you never get to. 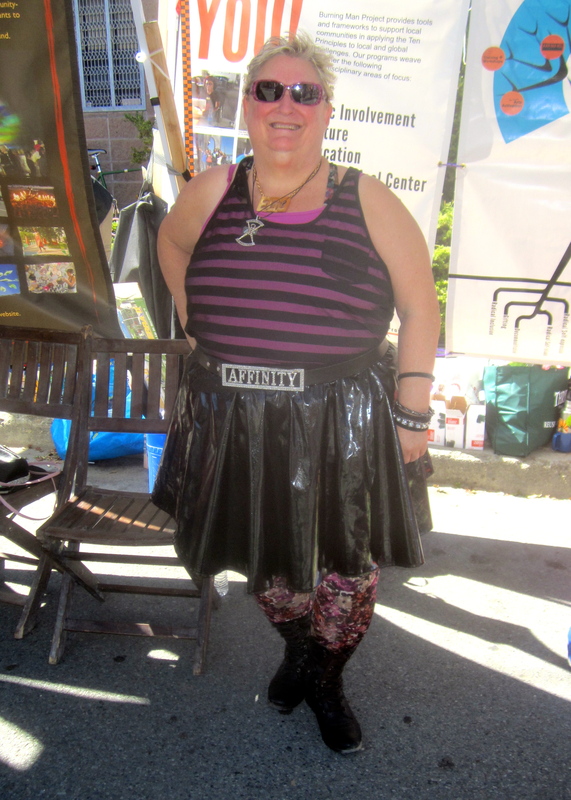 Well, I have this photo in this fun pleather skirt. I never posted because I bought the skirt in the photo above on a Facebook Thrift Store and I did not have anyplace to send you to buy one. But now I do and I love this fun, funky look. This skirt in the photo is not the skirt I am wearing in my photo. This skirt from Asos Curve, is much shorter than the skirt I am wearing in my photo. It comes to a US Size 24 and and the brand is New Look from Asos Curve. I have a very large waist and generally wear a size 28 and sometimes a 30 in a tight jean. I just bought a similar skirt in a different material but this brand and US size 24 and because of the elastic waist it fits just fine, BUT it is short, so it is a leggings sort of skirt. The description of the skirt on the Asos Curve web site does not indicate how long it is. Tshirt: avenue Size 26-28 – To a size 30-32 and runs true to size. Skirt: Asos Curve US Size 24 – see above for size information – This is not the skirt I am wearing in my photo. Leggings: Torrid – footless, Size 2. Torrid Size 3/4X are too small for me but the footless version seems to run larger. Boots: avenue, Size 9.5, for more information click here.